Compulsive hoarding refers to an excessive collection of items that are of little or no value along with the inability to discard them. This disorder often creates confined living conditions, where homes may be filled to capacity that it interferes with everyday living. 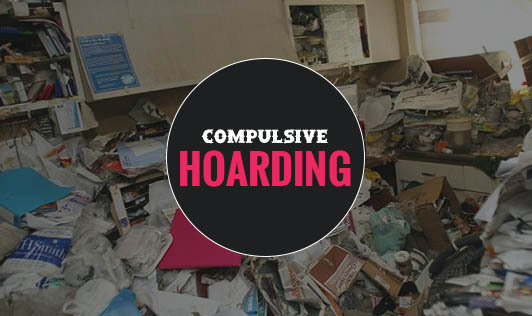 Hoarding may be a symptom of obsessive compulsive disorder (OCD). But there are many people who hoard and don't have other OCD related symptoms. The cause for hoarding is unclear but the condition is more likely to affect those with a family history of hoarding, hence genetics and upbringing are possible triggering factors. The compulsion to hoard usually starts during childhood or teen years, but it doesn't become severe until adulthood. People, who hoard items believe that they need those items in the future, feel that those items have important emotional significance or they may report feeling safer when surrounded by the things they save. People who hoard, don't see it as a setback, thus making treatment quite challenging. If you or a loved one has symptoms of hoarding, talk to a mental health professional as soon as possible!